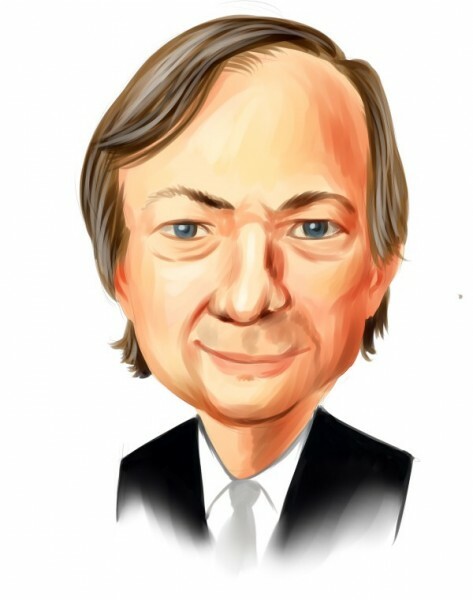 Billionaire money manager and author Ray Dalio founded Bridgewater Associates in 1973 and has made a lot of people a lot of money since then, including himself. Dalio is currently ranked 54th on Forbes’ list of the richest people in the world, with an estimated net worth of $18.1 billion. While Dalio is no longer Bridgewater’s CEO, he remains on as its co-CIO and has also earned the envious title of “Mentor” at the investment company. Dalio’s bestselling book Principles: Life and Work details how to better structure one’s business or life and how to develop and implement the most reasoned decision-making processes. At Bridgewater, that includes the investment firm using computerized systems that make believability-weighted decisions. Bridgewater Associates manages about $160 billion in assets and held equity positions valued at $9.65 billion in its 13F portfolio as of the end of September. The contents of that portfolio were just revealed this week in a public filing, as the 13F filing deadline for the September 30 reporting period is today (that’s November 14 to you people reading this from the future). According to that filing, Bridgewater added 63 new positions to its portfolio in Q3, while selling out of 169. Meanwhile, the S&P 500 index has delivered an average annualized total return of 9.8% between 1928 and 2017. We’ve uncovered a reliable way to consistently beat the market by using these 13F filings and investing in only the top consensus picks of the 100 best performing hedge funds each quarter. Insider Monkey’s flagship “Best Performing Hedge Funds Strategy” has returned 96.9% since its 2014 inception (through November 2), beating the market by over 40 percentage points. Check out a detailed analysis of Insider Monkey’s performance and past quarterly stock picks for all the details. Our newest picks will be released later this month; don’t miss out! Below, we’ll take a look at five of the biggest Q3 moves made by Ray Dalio and his team at Bridgewater. Dalio’s Bridgewater started buying shares of Bed Bath & Beyond Inc. (NASDAQ:BBBY) again in Q3 after selling off half of its position in Q2. One of the 10 Biggest Companies That Support Trump, Bed Bath & Beyond Inc. (NASDAQ:BBBY) shares have sunk by 36% in 2018 as the home furnishings store struggles to halt declining traffic at existing stores, which has fallen for six straight quarters. This was a new holding bought by Bridgewater during Q3, after over $100 billion had been slashed off the iconic company’s market cap over the last two years. However, General Electric Company (NYSE:GE) was rocked by an accounting scandal shortly into Q4 that has battered shares by another 37% off that dwindling (relatively speaking) market cap. GE has started selling assets and will make a secondary offering to raise cash. Dalio’s investment firm has owned shares of The Gap, Inc. (NYSE:GPS) since late-2012, but held a relatively small position on June 30 of 58,755 shares. The Gap’s shares have declined by 18% this year as the clothing retailer figures out what to do with its fading Gap brand, which suffered a 5% comps decline in Q2. The Gap’s Old Navy and Athleta brands have been driving the company’s recent modest sales growth. Bridgewater more than doubled the size of its Intel Corporation (NASDAQ:INTC) position after opening it in Q2 with just under 185,000 shares. Intel ranked among Billionaire Ken Fisher’s Top Stock Picks Heading Into 2019, just making it into the top 10. Fisher Investments owned $1.13 billion worth of Intel shares on September 30. Dalio sold out of the insurer in Q3, unloading Bridgewater’s entire stake that was valued at over $33 million on June 30. They say history repeats itself and they are right (whoever they are), as California’s wildfires Burned PG&E Corporation (PCG) Shares To A Crisp last fall and the same fate has befallen the company in 2018. Dalio gets out before the latest steep fall (a 32% slide since October 1) but the stock may have failed to rebound as much as hoped when the majority of the stake was bought last Q4.